THE Scots filmmaker whose iconic documentary captured Graham Taylor’s turbulent time as England manager says he is “heartbroken” following his death aged 72. His cameras followed the former Watford boss and his staff as the Three Lions failed to qualify for that year’s USA World Cup. Paisley-born Ken, 57, wrote on Twitter: “Heartbroken at the news of Graham Taylor. “My thoughts are with Rita and their girls, his friends and colleagues. A man of great honour. During his time in England’s top job Taylor took part in an all-access documentary ‘The Impossible Job’ which really shed the light on just how ‘impossible’ the England job is. Taylor managed England from 1990 until 1993 but had a difficult time, with criticism about his perceived long-ball game. 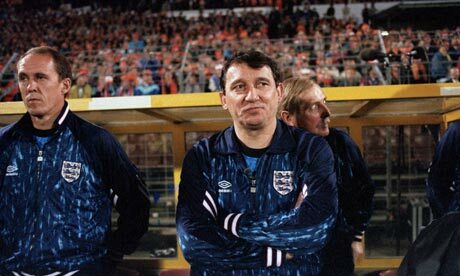 However under his leadership England qualified for Euro 92 in Sweden. The tournament was a tough one for England and their manager. His side failed to get out of their group and Taylor also substituted Gary Lineker, in the final group game when a goal was needed, in what proved to be the striker’s final game for England. Taylor kept his job, but failure to qualify for the 1994 World Cup in the United States led to his resignation in November 1993.